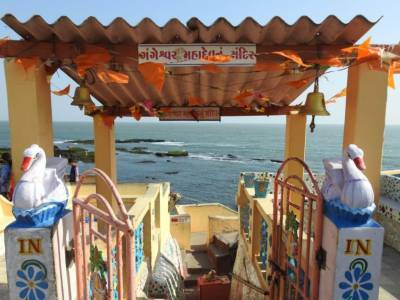 Diu town itself is very beautiful but existence of Gangeshwar Mahadev Temple makes it even more special. 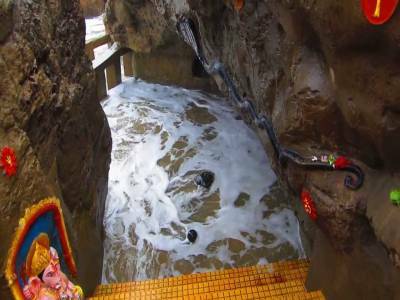 The Shivaling of Lord Shiva in temple is placed in such a manner that the Sea Water touches their legs every other minute. 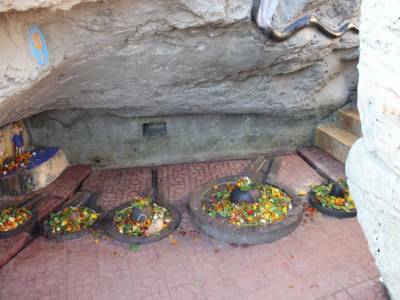 The Gangeshwar Mahadev Temple is very ancient and more than 5000 Year old and it is believed, the 5 Linga's of Lord Shiva was established by the Pandava's during their hideout year. 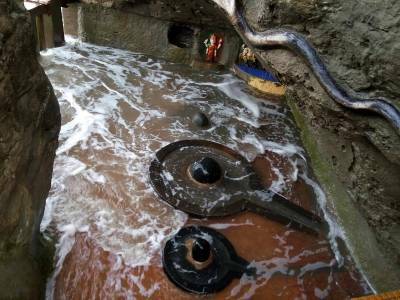 There are few stairs just going into the sea directly within a narrow band of hardly 2-meter width and here lie the five Shivlingas of different sizes are created next to each other. All these are washed by the sea every minute and you have to touch the feet of God when the waves are returning. Real feel that Sea comes to take blessings of God all the time. There was no Priest and whatever you offer to God is washed away by the sea within seconds. Amazing religious place as well as for the scenic beauty. The temple campus is nice and quiet, travelers can spend some time to sitting there and watching the sea. Several benches are provided here by the administration as part of development of the sea face. Its a must go place and is not far from Nagoa beach. 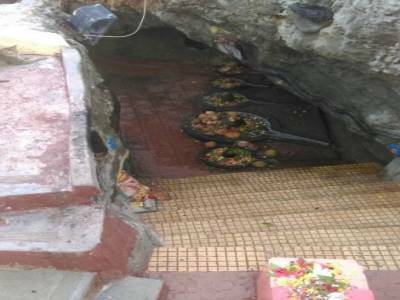 Get quick answers from travelers who visit to Gangeshwar Mahadev Temple.